Kathryn Dennis Has A New Man! 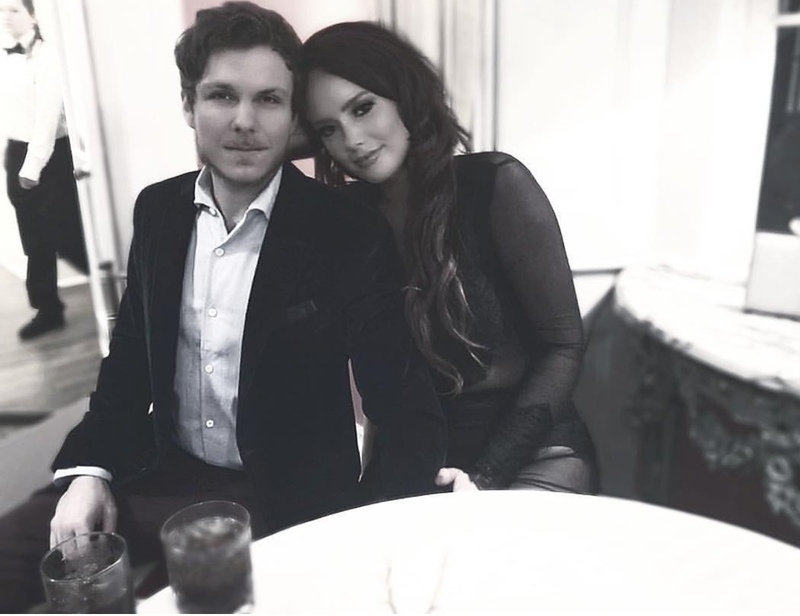 Kathryn Dennis has a new man in her life! The Southern Charm star just confirmed her relationship with country singer Hunter Price on Instagram. It doesn’t get more official than INSTAGRAM official! After years of roller coaster relationships involving her costars, it seems like Kathryn is ready for something drama free. Kathryn posted a photo with a singular black heart emoji to make the announcement. The black and white photo shows the couple posing close together with loving smiles across their faces. In the comments section of her post, Kathryn referred to Hunter as “her person”. Who’s this new guy? Hunter competed last season on America’s Got Talent, making it to the Judge Cuts round. Hunter also posted the same picture. Kathryn commented, calling him her “Lil chicken nugget” followed by another black heart. Both used the black heart emoji as their photo caption, and both used it in comments as well. The black heart emoji appears to hold some sort of significance to the new couple. Naomie Olindo, Kathryn’s Southern Charm costar also reacted to the photo. She wrote, “OoOoOoOoO insta offish.” Now that Kathryn has a new man, it’ll be interesting to see how her other costars react! The relationship news comes in the middle of a nasty custody fight between Kathryn and ex Thomas Ravenel. Thomas accused Kathryn of buying drugs from the Southern Charm crew and even a hit and run accident. Late last year, Kathryn filed for primary custody of the two children she shares with Thomas. She cited his excess nanny use as a mitigating factor according to People. Kathryn also cited the sexual assault allegations against him that led to his Bravo departure. The fans of Southern Charm are dying to see how this new relationship will play out next season. It’s going to feel like the longest wait ever, but the juicy drama will be worth it! TELL US – WHAT DO YOU THINK OF KATHRYN DENNIS CONFIRMING HER NEW RELATIONSHIP ON INSTAGRAM? HOW DO YOU THINK THE RELATIONSHIP WILL PLAY OUT NEXT SEASON ON SOUTHERN CHARM? HOW DO YOU THINK KATHRYN’S COSTARS WILL REACT TO THE NEWS?